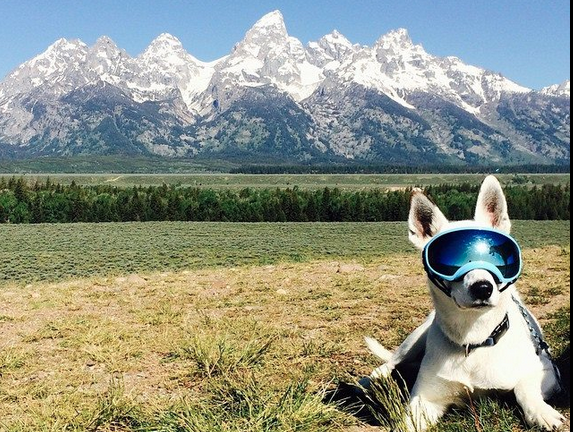 Week in Review — Dog Goggles Take Skiing By Storm?! Marcus Caston gives 'er! Whistler making glaciers! Carp water skiing! After an up-and-down season, the largest resort in North America is looking to prevent future catastrophe by running a pilot snowmaking test on its summer snow camp haven, Horstman Glacier. The system will be installed in July, with aims to turn on the guns come October. Whistler management hopes the extra layers of artificial snow may be the answer to offsetting low snow years in the future, keeping camps like Momentum and Camp of Champions churning out talented youngsters for years to come. Hope you checked your copyrights with McNutt on this song, Marcus. Legalities aside, with some techy lines from Iceland to the Midwest and beyond, Mr. Caston does indeed take us to winter's vast sanctuary. P.S. Those sharky stage droppers are no joke, kids! A-Basin closes up after 237 days of skiing! Arapahoe Basin dropped the mic over the weekend, stopping the lifts after 237 days of skiing this season. I'm not good with the maths, but that's nearly two-thirds of the year with lift-serviced terrain. That's like four-sixths of the last 365 days on snow, like eight-twelfths of the sun cycle buckling up and clicking in. Okay, okay, I'm done, but that's a whole lot of skiing, Colorado. Color me jealous. The Bunch's Par "Peyben" Hagglund cooks with butter, a whole, heaping 2:08 serving of it. Count on Jackson to give us the true product we never knew we needed. Introducing Rex Specs K9, the newest in dog-specific eyewear. Keep your pooches cataracts at bay and loose all ski town credibility with these questionably stylish eye-protectors. Resembling a common ski goggle, the Specs even feature interchangeable lenses ranging from "pretty embarrassing" to "social suicide". A picture we took this winter of Brutus getting some work in with @thirdeye_k9 #doberman #workingdog #rexspecsk9 #rexspecs #badass #k9unit #k9 #mwd #doggoggles #pannus #militarydogs #dogcrushdaily PHOTO: Rex Specs K9 Facebook page. The Pope has some words for us. So, uh, now what, guys? Officially accepting new best friend applications.